“America is Not Doomed,” Gross says. Budget deficits put the nation in peril because it means we have to borrow – often from foreigners – to fund our operations. 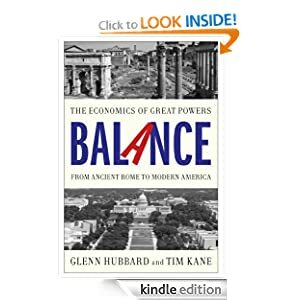 There was a second potentially fatal deficit that would require us to borrow from foreigners as well – the trade deficit. The U.S. has long imported much more than it exported, especially oil from OPEC countries and goods from China. But here, too, there has been progress. Exports have been booming since 2009. When the monthly trade data comes out, I always note that the U.S. doesn’t make anything the world wants – except the $187 billion of goods and services we export each month. I couldn’t agree more. Logically, America’s worst days are ahead of us, but it’s up to us whether those days happen in one century, two centuries, or are put off indefinitely. I think of it is the inverse of how far off we put debt reckoning. The more Washington punts on structural reform of the budget balance, the more likely a systemic crash becomes.